For the second consecutive year Legacy International has facilitated the Emerging Young Leaders Award and Exchange Program on behalf of the U.S. Department of State. 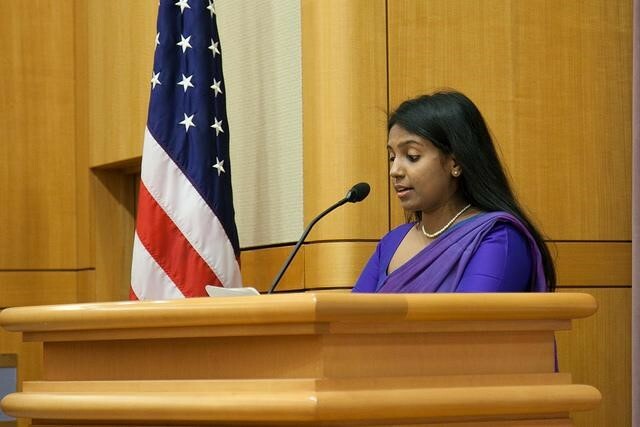 Young people from around the world are nominated by their embassies and ten are chosen by the State Department to receive this prestigious award. 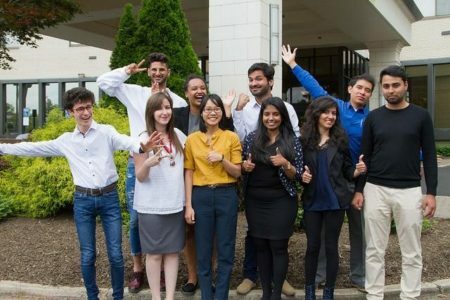 As part of winning the award, the Leaders travel to the U.S. for three weeks and take part in job shadows, professional development workshops, cultural activities and exchange opportunities as well as one-on-one mentorship with professionals in their industry or working with their cause/issue of interest. The Leaders arrived in the United States on April 29, 2017. (l to r) 1st row: Noe Petitjean (Belgium), Amel Mohandi (Algeria), Quyen Luu (Vietnam), Chamatha Fernando (Sri Lanka), Gharsanay Amin (Afghanistan), Jahongir Olimov (Tajikistan), (l to r) 2nd row:Hanna Tams (Jerusalem), Naomi Bugre (Malta), Raj Kumar (Pakistan), Moises Alexander Salazar (Peru). Leaders meet with J.E. 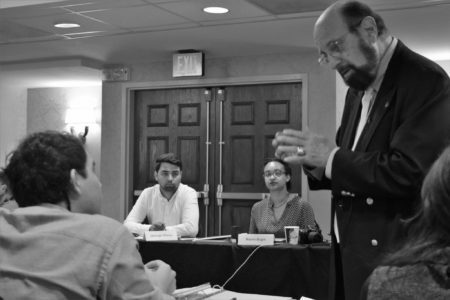 Rash Founder and President of Legacy International to discuss Transformative Leadership (left). 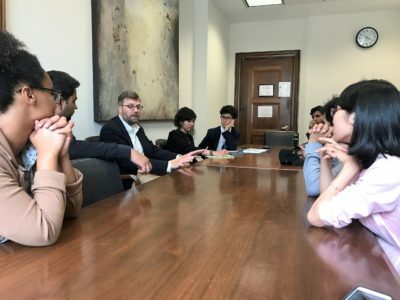 Leaders meet with Chief of Staff Director, Chris Tuttle for U.S. Senator Bob Corker (R-IN) Senate Foreign Relations Committee. Emerging Young Leaders with Former Congressman Honorable Ron Sarasin (R-CT) after a personal tour of the U.S. Capitol. 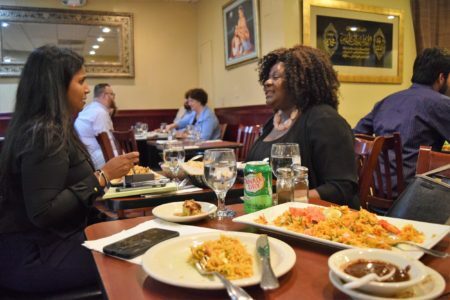 Emerging Young Leader Chamathya (Sri Lanka) meets with CeCe Cole, Director United Nations Women-National Capital Chapter over a delicious meal during the one-on-one professional dinner held at Sakina Resturant in DC. The official award ceremony was held on May 4, 2017 at the George C. Marshall Conference Center. 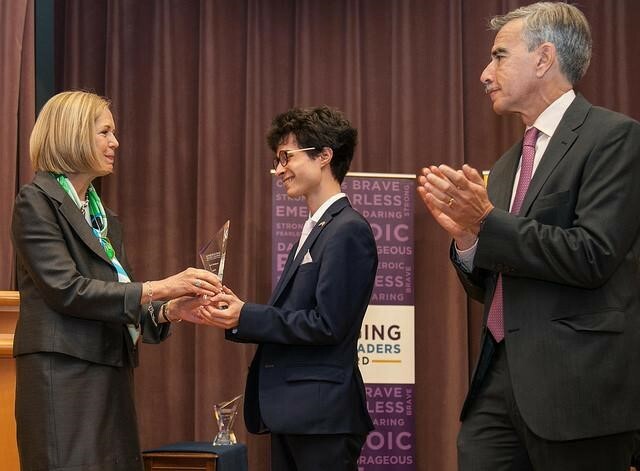 Amidst a packed room of distinguished guests, friends, school groups, media correspondents, dignitaries, state department staff, and program supporters the ten Leaders received beautiful crystal awards. 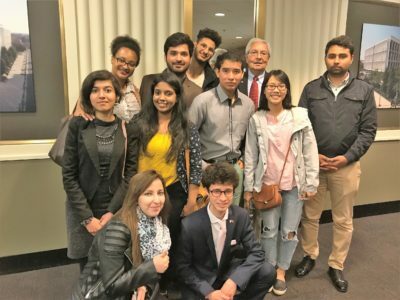 During the ceremony Emerging young leaders Chamathya Fernando (Sri Lanka) and Moises Alexander Salazar (Peru) shared moving speeches on their experiences and dedication to achieving peace in their countries and ultimately the world. The Emerging Young Leaders Award ready to be presented to this year’s honorees. Chamathya Fernando (Sri Lanka) and Moises Alexander Salazar delivered speeches to a captivating audience at the May 4th, 2017 ceremony at the U.S. Department of State. Shortly following the awards ceremony the young leaders took to the friendly skies and flew to Austin, Texas. 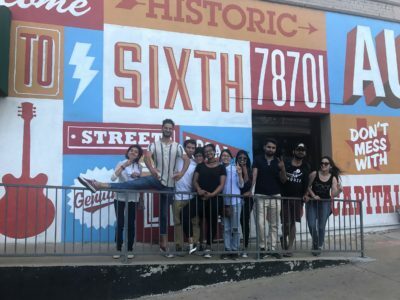 An absolute highlight of their visit in the states, Austin showed them good barbecue, amazing southern hospitality, and an awesome community of social innovators and changemakers by way of startup tech companies, social entrepreneurs, coworking spaces and incubator hubs. The Austin portion of the trip was organized by BRAVE Communities: Building Relationships Awareness Voices & Engagement (BRAVE), equipping young leaders to address social change via intercultural teambuilding skills. 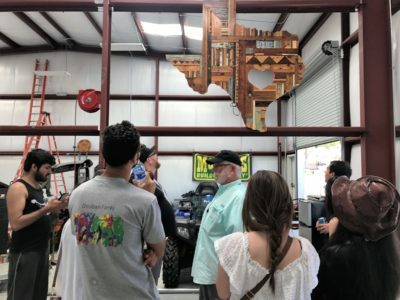 They kicked off their stay with a visit to Community First Village. Staying the night in teepees and waking up to a communal breakfast followed by a community volunteer effort. 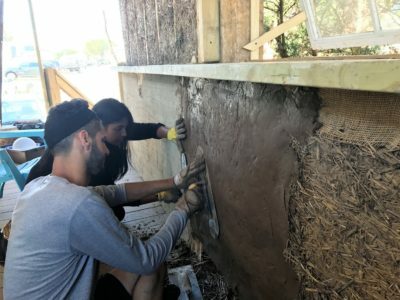 Leaders pitched in to do various tasks needed to maintain the grounds such as removing weeds from the community gardens, creating a trellis, perfecting and testing a mixture to create bricks from straw and mud, building a fence, and clearing an area for the future erection of a wall. Leaders Hanna Tams (Jerusalem) and Chamathya Fernando (Sri Lanka) help to insulate a wall of a newly erected structure at the village. Every communal building there is made with the help of the community and all by hand. 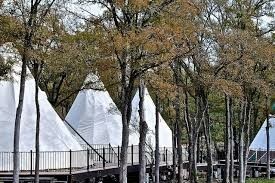 Teepees at Community First Village, a 27-acre planned community that provides affordable, permanent housing and a supportive community for the disabled, chronically homeless in Central Texas. Leaders take a tour of the Community First Village with founder, Alan Graham. Leaders enjoy a roundtable with social entrepreneurs and tech professionals at Capital Factory, a coworking space and incubator that aims to be Austin’s center of gravity for entrepreneurs. 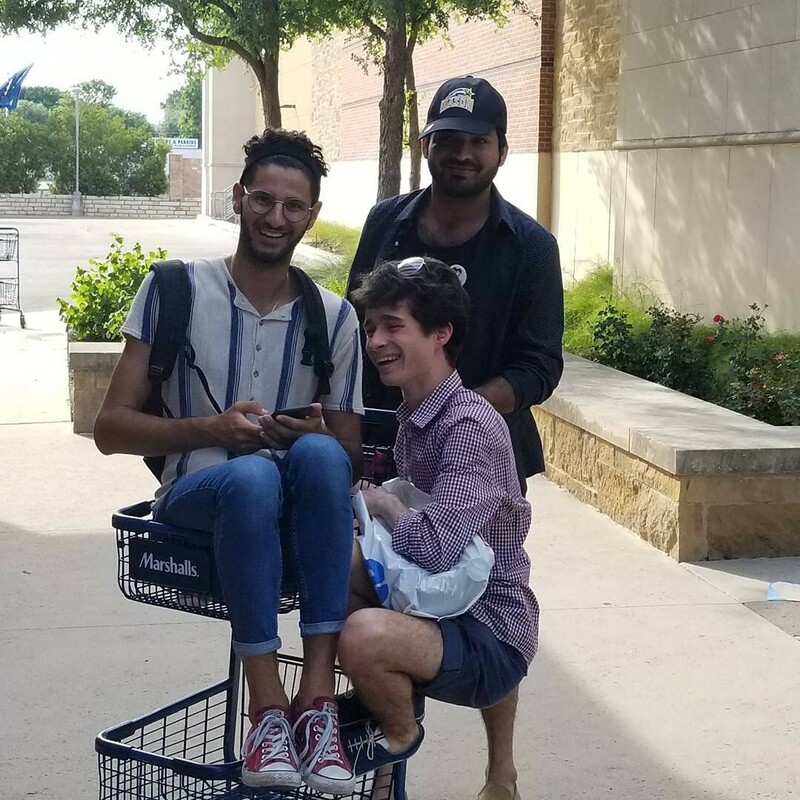 (l to r) Hanna Tams (Jerusalem), Raj Kumar (Pakistan), and Noe Petitjean (Belgium) have a little fun while waiting for the rest of the group outside of popular shops in Austin. 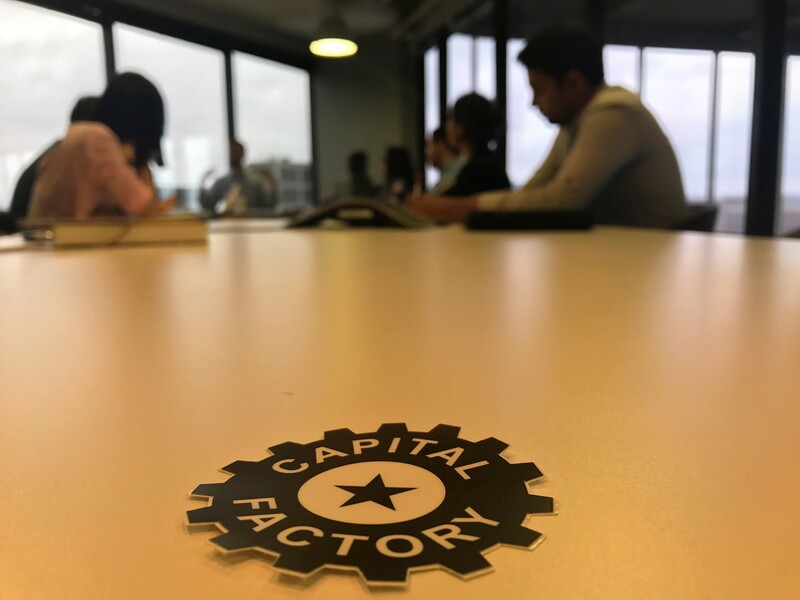 With all of the amazing opportunities, fanfare and important meetings surrounding the acceptance of this award it’s easy to forget that this group of amazing people are only between the ages of 18 and 24. That is, until we find time in the schedule to go shopping, then all bets are off! 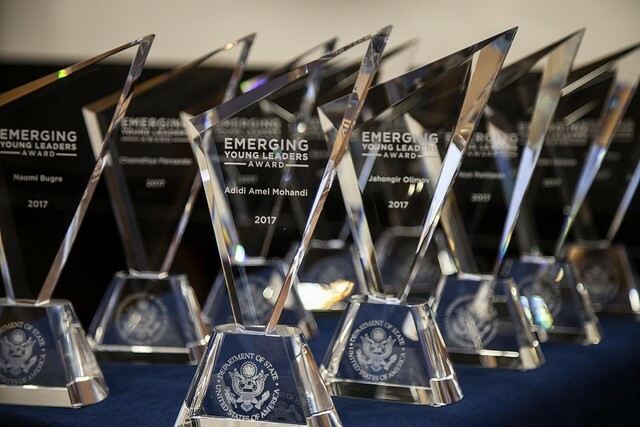 The U.S. Department of State’s Emerging Young Leaders Award and Exchange Program recognizes youth around the world for their efforts to create positive social change in challenging environments. The Emerging Young Leaders Award is granted to ten outstanding young leaders (ages 18-24) from across the globe.